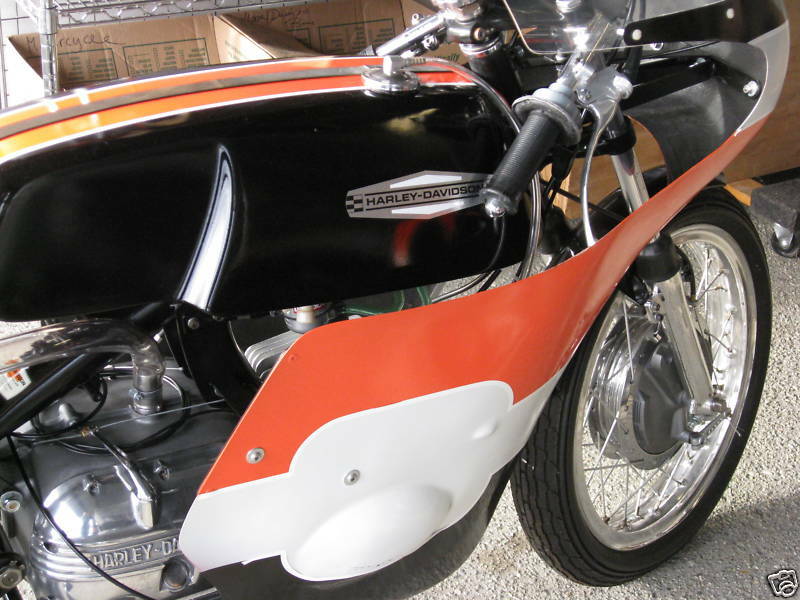 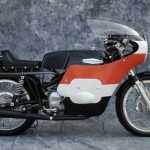 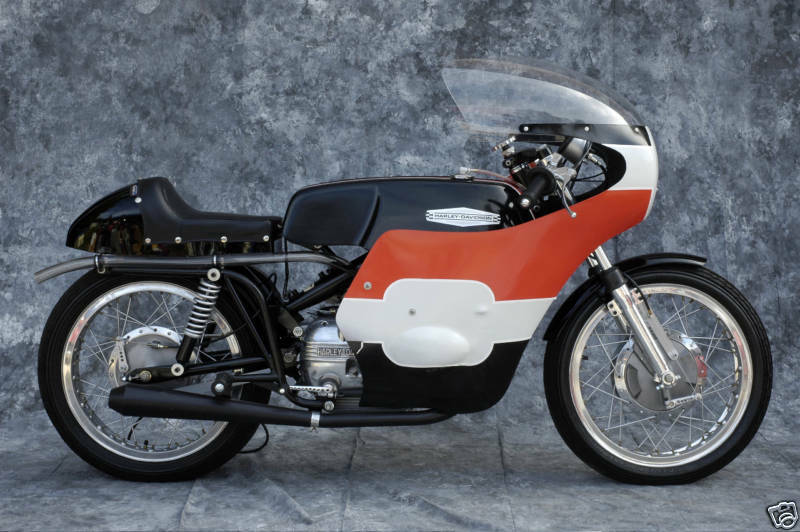 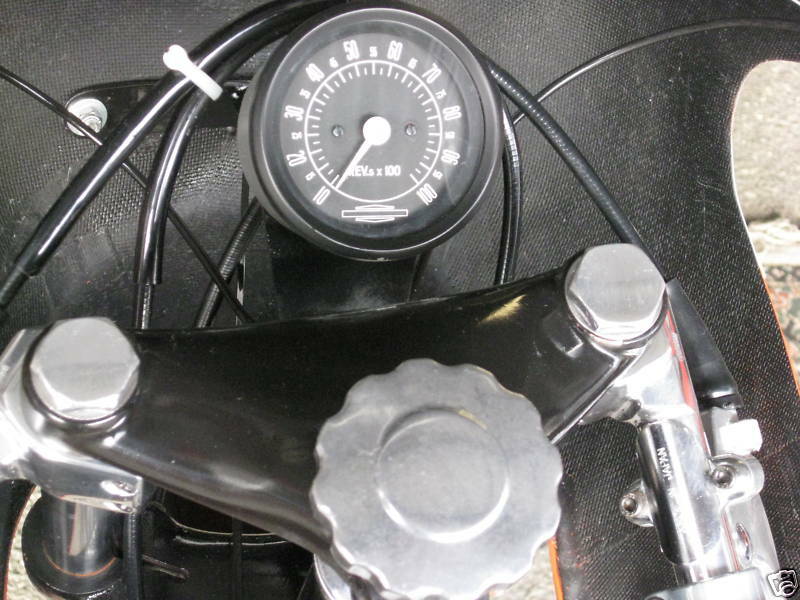 1966 Harley Davidson Sprint race replica for sale – mint! 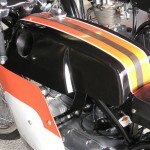 1966 250 CC HARLEY DAVIDSON SPRINT RACE REPLICA, CERIANI FORKS, CLIP ONS, FAIRING, CUSTOM STAND. 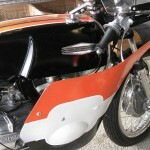 ESTATE SALE, TOTALLY RESTORED, BEAUTIFUL JEWEL SHOW PIECE, ENGINE NUMBER V407 LOW RESERVE, MINOR FINISHING TOUCHES NEEDED. 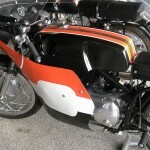 CABLES NEED TO BE CONNECTED, NEW BATTERY, BUILT TO BE DISPLAYED, THIS BIKE WAS A JOINT EFFORT BETWEEN HARLEY AND AERMACCHI TO FILL A GAP IN HARLEYS LINE UP, BUILT IN ITALY, SOLD WORLDWIDE. 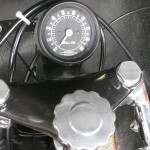 LOW PRODUCTION AND UNIQUE. 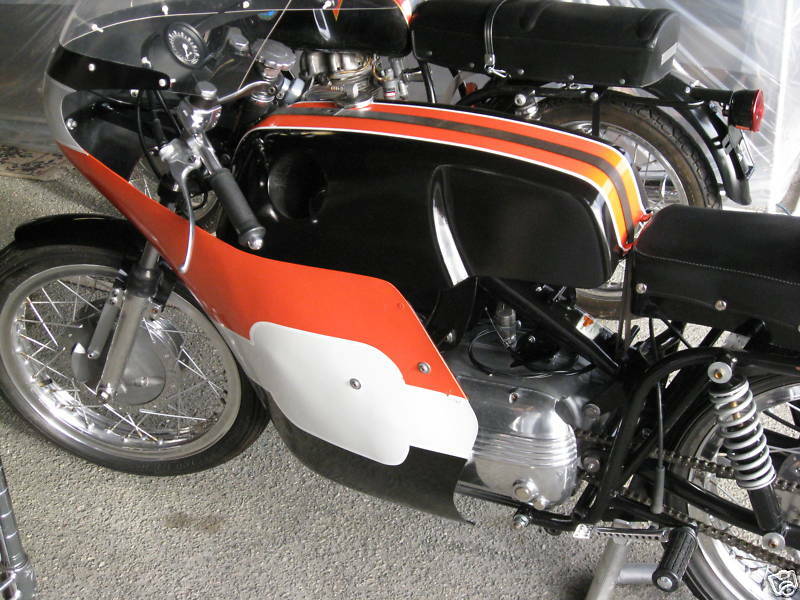 The seller also has several nice classic bikes for sale, but I just wish that he would stop using all caps and use the correct punctuations! 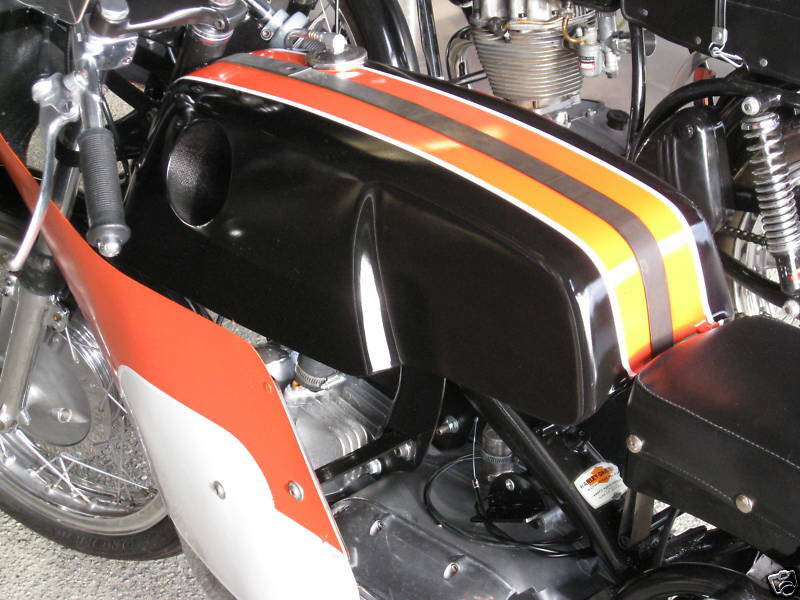 Whining aside, I’ve always wanted one of these small capacity HD/Aermacchis – just so that I can show up at the local HD ride out and let them know that HDs hasn’t always been about riding two-wheeled boat anchors cruisers / choppers while dressed up as Jack Sparrow.